Have you ever made a dessert and couldn’t figure out what to call it? Well, such was the case with this recipe. I love tiramisu with its cookies and the cream layers. Yet, it was really the cream layer that I was craving; so I decided to make an unusual tiramisu, one without ladyfingers. At this time of year, it is easier to find chocolate dessert cups in specialty stores and certain grocery stores. As soon as I saw swirled milk and white chocolate flower cups, my dessert came together. I whipped up the mascarpone mixture and decided I couldn’t resist adding Godiva Chocolate Liqueur. I topped the cups with raspberries. Delicious and beautiful! It is not even close to traditional, but sometimes it is good to bake outside the box. Or, as is the case here, outside the ladyfingers. Today, we all have the added pleasure of having my friend, Tom Brodigan, serve as my photographer for the featured image. You will have the opportunity over the next few weeks to view his beautiful and artistic work. Today´s feature of Tiramisu Cream Cups is but one example of his creativity. Please click over to Tom’s personal website, brodiganphotography.com, to see more of his wonderful work. 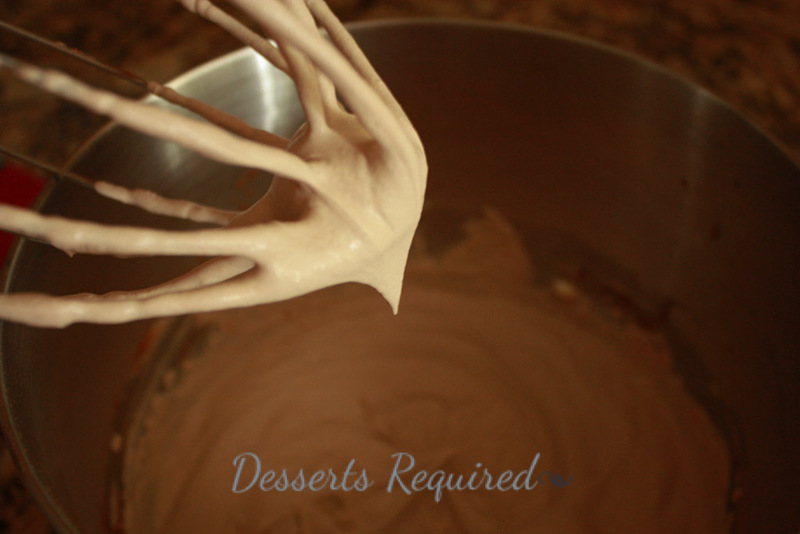 Place the mascarpone, whipping cream, sugar, cocoa powder, chocolate liqueur, coffee and vanilla into a large mixing bowl. Beat on medium speed until stiff peaks form. Transfer the cream mixture to either chocolate cups or ramekins and top with the raspberries. This recipe makes 4 cups of Tiramisu Cream. 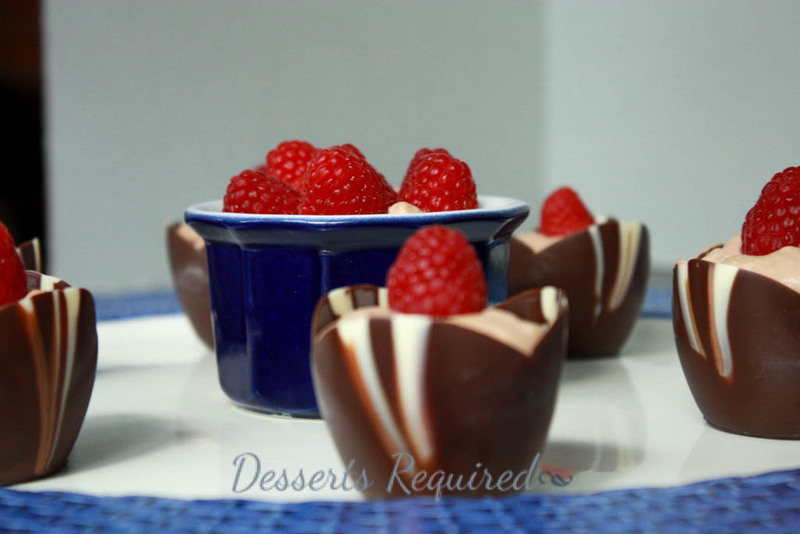 The number of servings will vary depending on the size of either the chocolate cups or ramekins. These are truly beautiful. I’d imagine if I couldn’t find such gorgeous chocolate cups I could make my own. They don’t come out this pretty but the whole idea is so impressive I don’t think anyone would mind. I am sure that they will be gorgeous! Send a pic!! I LOVE the word, Yumicious!! I want a picture when you are finished! I know that they will be gorgeous! Looks phenomenal. On my list for the holidays. Truly beautiful. Thank you!! Have fun making them. I meant to ask how far ahead of time you can make these. 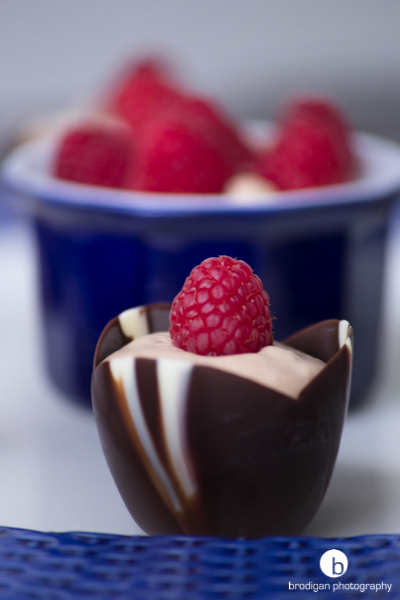 Tiramisu Cream Cups are best served either the day that they are made or the following day. I KNOW you are capable of making any and every dessert. I have seen what you have conquered on Supper for a Steal! Betsy, I like that these Tiramisu Cups are simple to prepare, yet elegant and impressive for a dinner party. Thanks for sharing your idea. Nice video too! Thank you for your comments. They are greatly appreciated and the feedback on the video is so nice to read! These are so elegant and look delicious! These look fabulous! Marscapone cream, Godiva, ans chocolate? Oh my! Thanks. With all of these decadent ingredients, I think of this as a win/win recipe! I used your filling….it was AWESOME!